Located at the base of the Wasatch Mountains thirteen miles (19 km) south of Salt Lake City, Sandy was a likely area for early settlement. 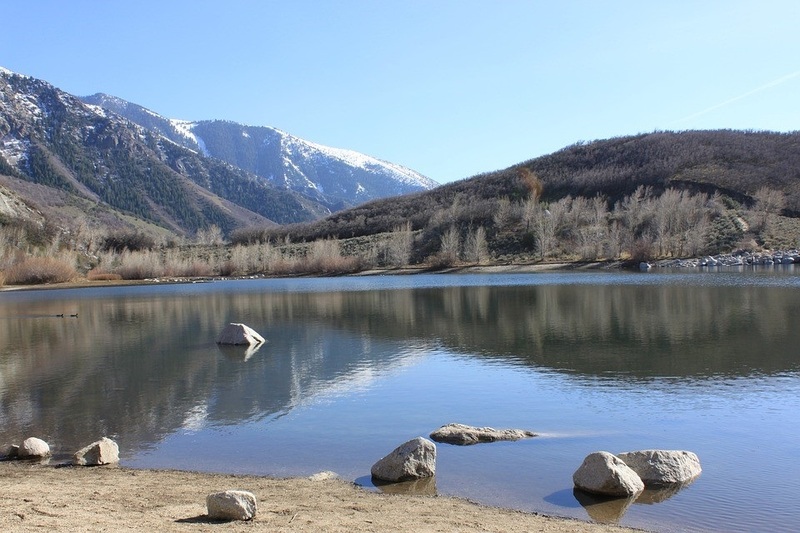 The area was first used by nomadic bands of Paiute, Shoshone, and Bannock Indians who roamed along the base of the mountains as they travelled from their winter home at Utah Lake to their summer fishing grounds at Bear Lake. The origin of its name has not been established with any certainty. Perhaps most widely believed is that Brigham Young named Sandy for its thirsty soil, but there is no historical evidence for this. Another theory is that the name came from a legendary and colorful Scotsman, Alexander "Sandy" Kinghorn, the engineer who ran the first train line to this end of the Salt Lake Valley. Though this seems bolstered by the original name (Sandy Station or Sandy's Station), historians consider it unlikely in view of the short period between the start of the train service and the first instances of the name. In 1863, there were only four homes between Union (7200 South) and Dunyon (Point of the Mountain): the Thayne homestead at 6600 South and 800 East, one in Crescent, one at Dunyon, and a fourth outside present-day Sandy boundaries altogether. Within a few years, Thomas All sop, a Yorkshire farmer who had immigrated to Utah in 1853, owned almost half of present-day Sandy from County Road to Fourth East along Alta Road to Lindell Parkway. LeGrand Young owned the land between Fourth East and State Street.